The Political Theatre Maker’s recent post documenting her theatre company’s mini tour experience inspired me to document a day in my actor life. Mine is, of course, captured much less artistically and with only an iPhone, but I thought it might be a fun little glimpse into the life of a working actor in NYC. I wake up every morning to thousands of puppy kisses from this groggy little face. 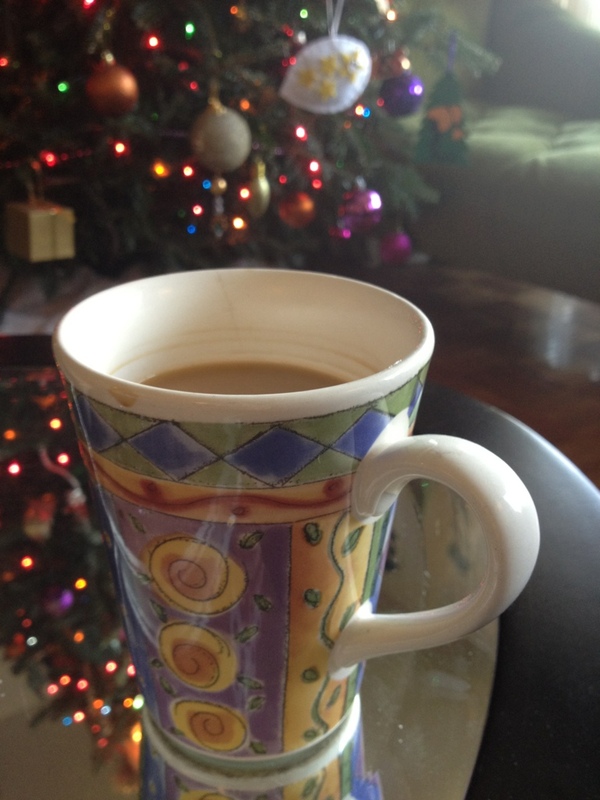 I am never truly awake until I’ve had that first cup of glorious coffee (note our Christmas tree reflection in the coffee table surface!). My weekly to-do list broken down into categories that make things seem a little less overwhelming. 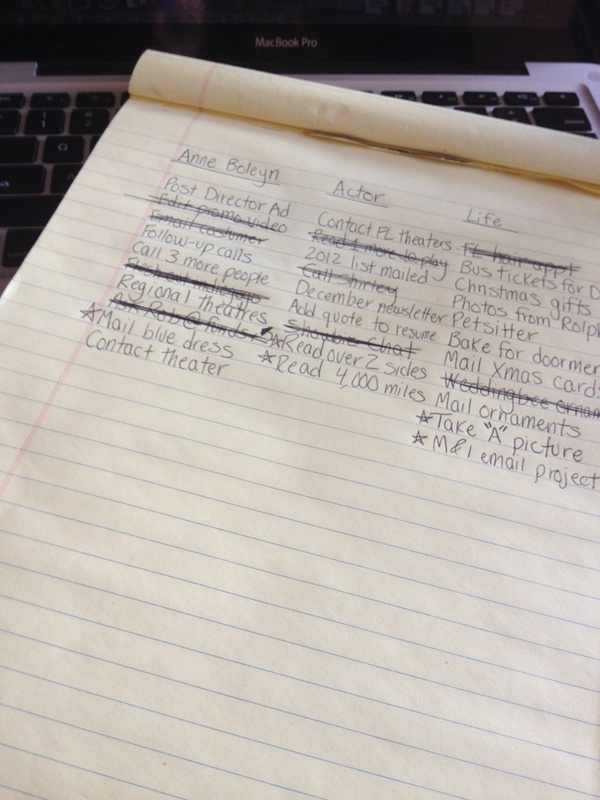 After my coffee, I start to tackle items on the list! 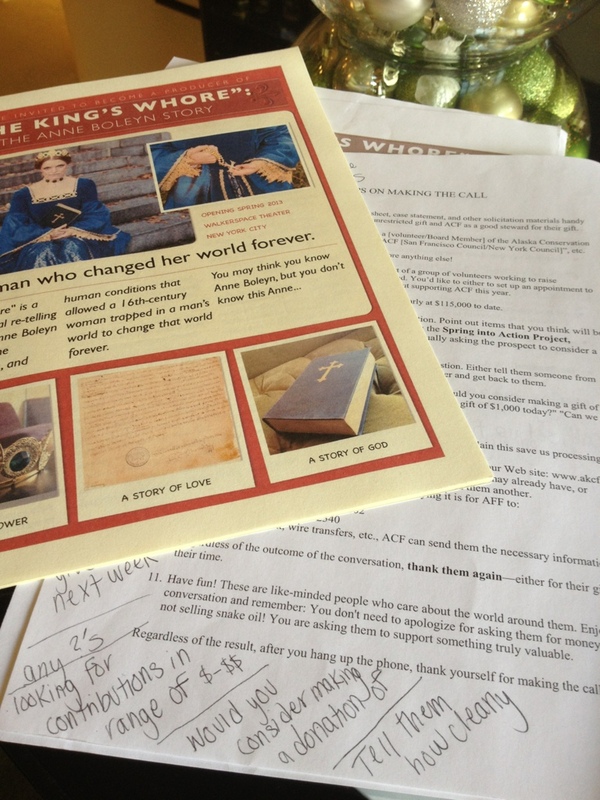 Fundraising for my play (The King’s Whore) is at the top of the list right now! 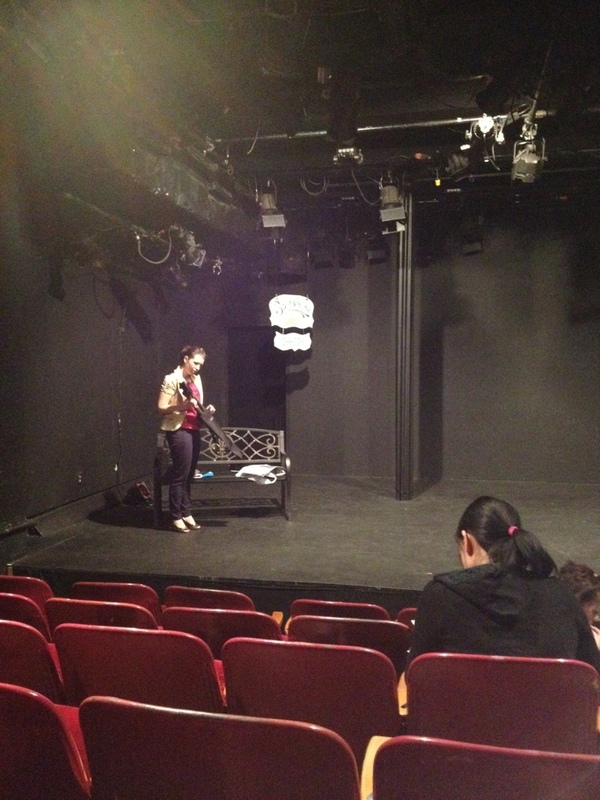 I then make my way to an audition at this cute little theater. I go in several times, reading different sides each time. Gotta be quick on my feet! 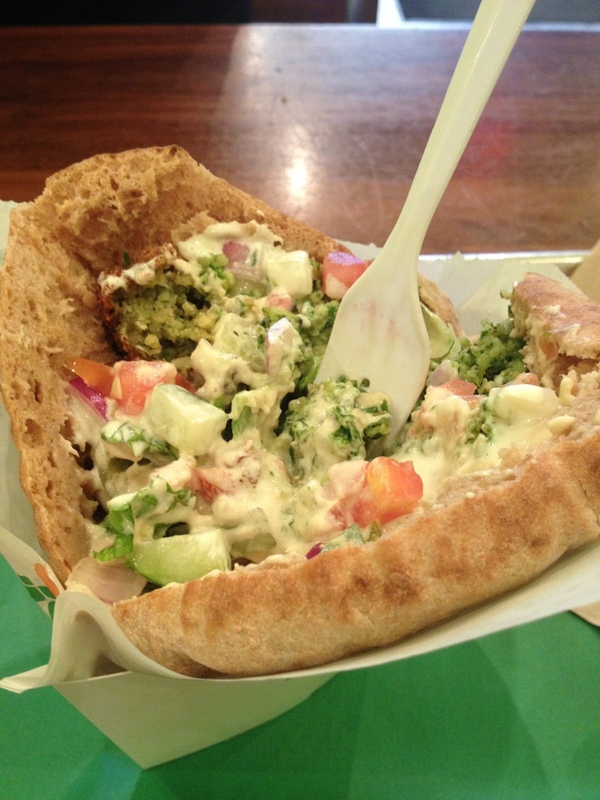 Quick lunch break comprised of a delicious pita. 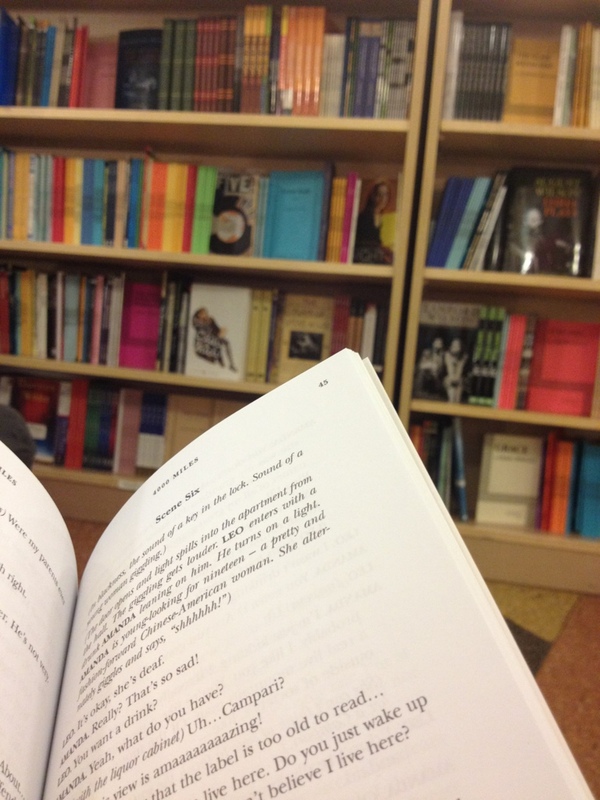 I have a callback to prepare for, so I head to the Drama Bookshop to read the play. So thankful for this NYC resource. 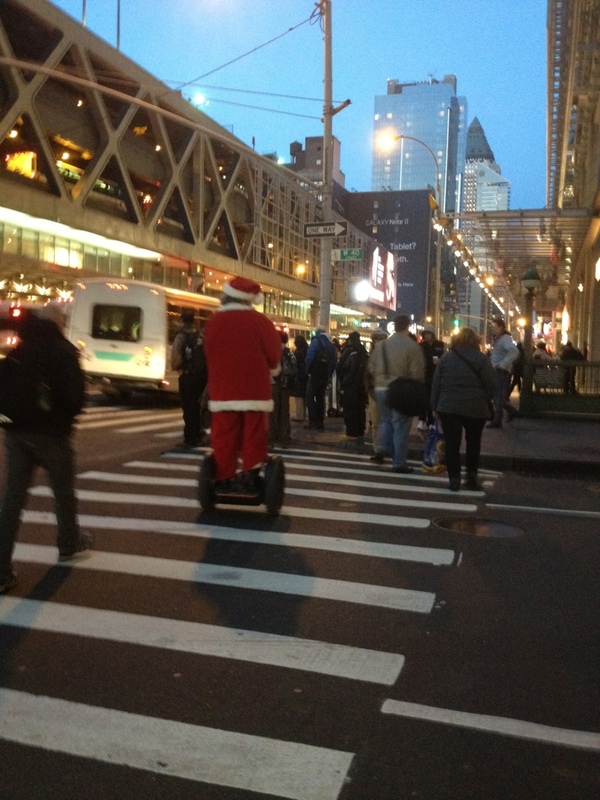 On this corner I see both a Santa on a segway, and I run into a fellow castmate from my recent production of “The Crucible.” I love that you always see random things in NYC like Santa or a friend! 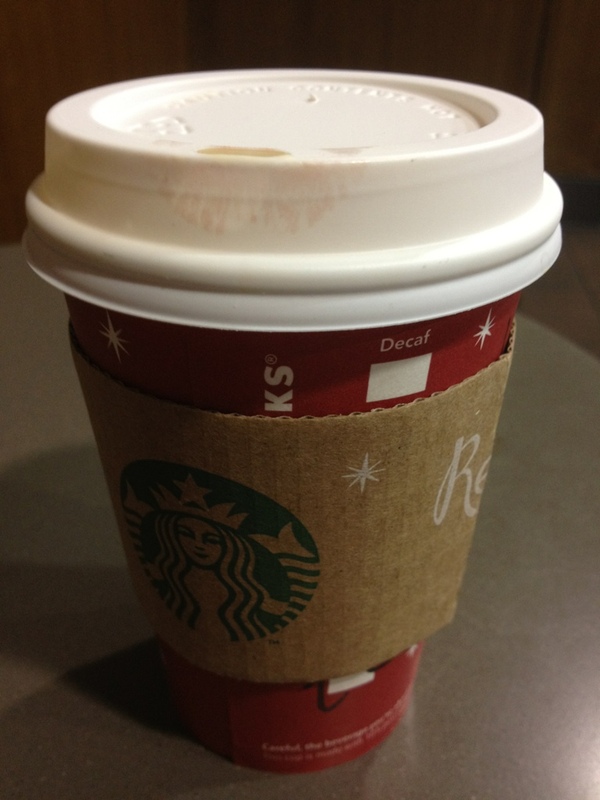 I’m getting a bit drowsy and there’s still a lot to do today, so it’s time for a Starbucks break! 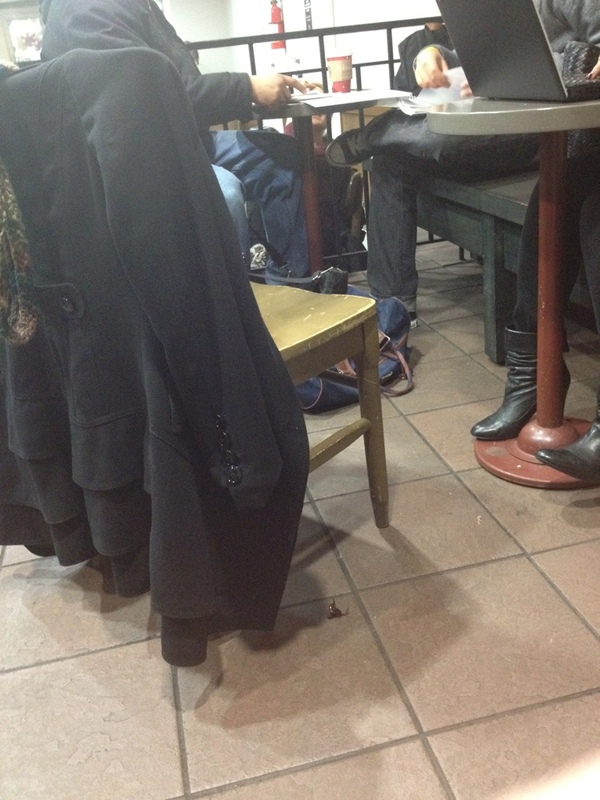 While at Starbucks, I see two young filmmakers make a casting decision using eenie meenie miney mo. This career can be so challenging sometimes. I’m there that evening to run box office for Sam’s play. Go see it! It’s fab. 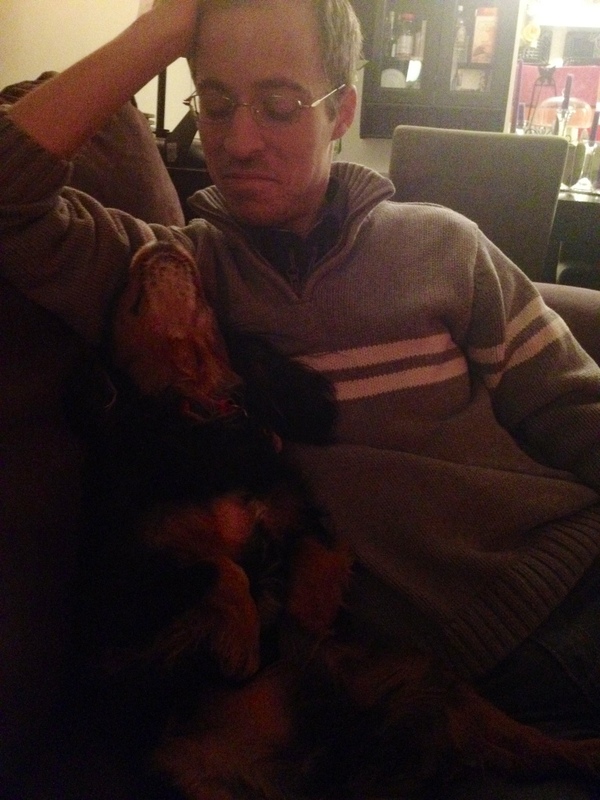 I end the day back on the couch with my puppies and my dear husband. This is a pretty typical day for me, although the specifics are always changing. What would a day in your artist life look like? Love this. It would be fun to see ‘a day in the life’ of all of our bloggers! A Starbucks should make an appearance in every day :] Although, I’ve had to settle for local coffee in Fort Atkinson…I’m missing out on the Caramel Brulee Latees! Good luck with Anne Boleyn!